Thanks to some assistance from Forever Entertainment, Hard West: Complete Edition is seeing a release on Switch. A specific date has yet to be announced. In Hard West: Complete Edition, players will take on eight unique story-based scenarios and 40 turn-based combat missions as the protagonist Warren sets out on a quest to hunt down everyone who has wronged him. Continue on below for some additional details and a trailer. – A Unique “Weird” West World: Explore a world where Western legends meet demons, arcane rituals and satanic cults and where the dead can walk the Earth again. For a price. – Compelling Turn-based Combat: Control 1-4 squad members in thrilling turn-based combat encounters and master a range of powerful western-inspired special abilities, from feats of gunslinging to survivability against all odds, to take out your opponents in a series of original tactical maps with unique story-based objectives. – Collect and Combine Special Abilities: Obtain new special abilities by collecting and equipping unique cards which are earned throughout the game by completing main- and optional objectives, exploration , bartering, treasure hunting and more. These cards can be combined to create even more powerful combos, and provide additional options in combat. 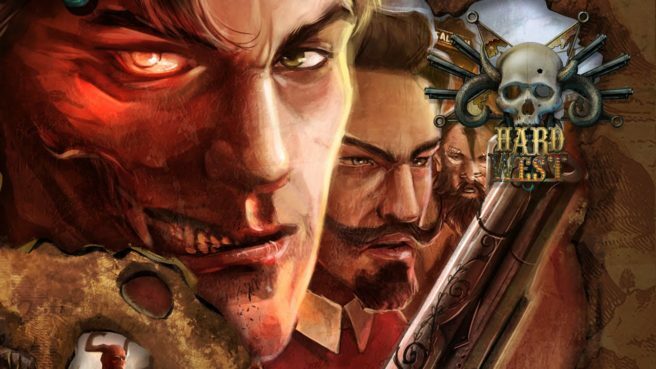 Hard West: Complete Edition will include the Scars of Freedom DLC and original soundtrack.